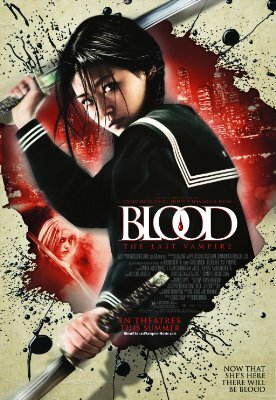 Synopsis Saya is a 400-year-old half human-half vampire who hunts other vampires. Raised by a man named Kato, she works loosely with an organization known as 'The Council' while seeking out Onigen, the highest ranking and strongest of vampires. Seeking clues about Onigen, Saya transfers to a school near the Yokota Air Base. Normally a loner, Saya forms a friendship with a young girl named Alice, whom she rescues from some vampires.